"This is your last chance. After this, there is no turning back. You take the blue pill - the story ends, you wake up in your bed and believe whatever you want to believe. You take the red pill - you stay in Wonderland and I show you how deep the rabbit-hole goes." This famous Matrix quote could have been the starting lines of this wonderful book You're Not So Smart by David McRaney. After reading this, there really is no turning back. You will see the world differently. And you will see yourself differently. If it wasn't clear already, this book is about psychology. It tells 48 things about behavior and people, that changes the way you see the world. There's so many great things in the book, that it's impossible to raise any one out from there. 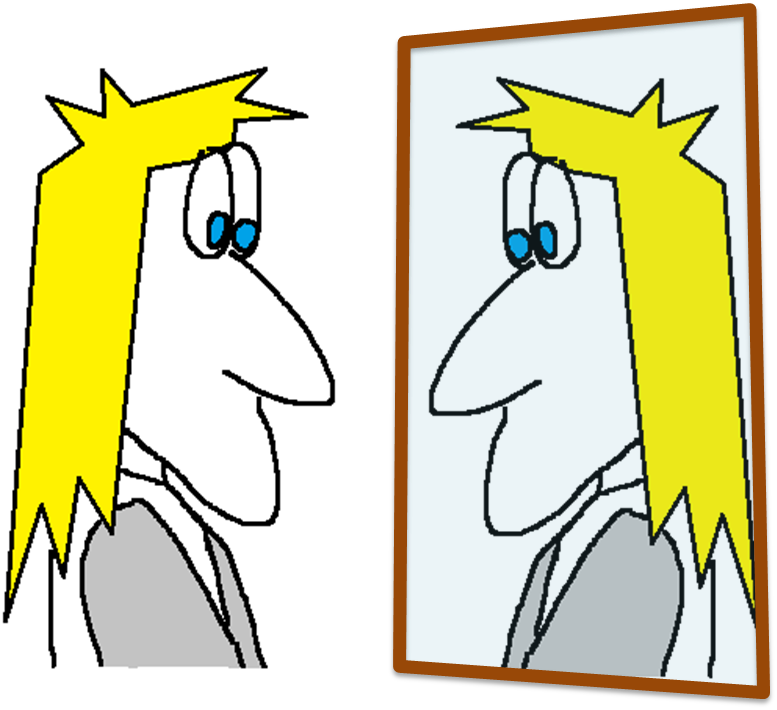 There are articles about how our behavior can and is manipulated, how we incorrectly believe the world to be, how our memory works and lots and lots of more. I'm sure I'm going to write many things related to this book for months ahead. The book is like a Mythbusters of human behavior. Every article even starts by telling misconception and truth, bit similarly to mythbusters. The only thing in this book is that all the myths are busted. These are not made up by David McRaney, but all of these are from psychological studies from all over the world. David has just made it easy and joyful to read. I have to warn that it's not easy to read. You have to really be open to yourself when reading this. There will be moments, that you say to yourself, I'm not like that. It's the other people who are like that, not me. But no, you and I, and most of us suit exactly to these statements presented in this book. That is exactly the point, most of us think that they are smarter than most of us. So wanted or not, this book is about you. How you are tricked and affected by the things you don't believe that affects you. You think you are smart and on top of your thoughts and actions, but you are not. You are more fragile than you think. I do now, that studied from science is not the absolute truth. Those keep on evolving all the time. So I've read it with some precautions in mind. Still there's so much good proof for many these cases that I do believe in those. Keep open, but careful mind when reading this. It's hard to say to whom this would be for. I would like to say for all, but I know some are not even smart enough to want to read this. So I hope anyone who are willing to know more about human behavior would read this. It is one of the best books I've ever read. People always talk about experience with years. In job adverts the requirement for a job might be x years doing something specific. The same goes with articles and resumes, everyone is always talking about years of experience. Funny thing is, that years of experience, doesn't really tell anything about experience or expertise. Experience is actually learning. Experience means, that someone have learned from what she has experienced doing something. So experience as such includes the actual learning. So it can't be counted in years. I've seen many people who have history of working years in some area, but still they seem to lack some basic understanding on their area. Experience requires that when you encounter something, one learns from it. So one needs to know how to adapt previously learned experience to the new situation. One needs to know how that situation suits the overall environment in their experience area. This will help them for a better outcome from the situation. What experience should not mean is that someone will do the things in the same way as they did the last time. That's actually the worst kind of experience there is. This is what I call stubborn experience. People who have used to do the things in, once a good way, does the things all the time the same way. That's not learning at all. That's an experience that should be avoided. I know years is the only easily measurable unit of experience. It's easy to say that 5 years of experience is better than 1 year. That one most people can agree. But what if there is 3 years compared to 5 years. You can't really tell the difference in which is more competent, can you? Experience in years is not a good measure and no one should ever count on that only. Don't be fooled or afraid of experience. If you are a recruiter, make sure that one has actually learned something from those years of working in area. If you are someone trying to get a job, make sure the other end understands that you have a learned knowledge in year working in that area. Maybe it would be better to say in CV that " I have x years of continuous learning in the area", instead of just stating that "I have x years of experience in that area". Today is the best day to learn something new. I had forgotten to create Wordle from my 2011 posts. I've always liked these word clouds and with a service like Wordle it's so easy to create nice looking clouds. Here is a visualization of the words I've used the most in my 2011 blog posts. I know I've written a lot about books lately, most probably good ones. Popularity of the word "time" was a surprise to me. I still can't see why I've used that one so much. Otherwise I think the cloud seems quite balanced. I've written wide variety of subjects. Most happy I am, that I've gotten a rid of a bad habit of using too much of a word "really". You can visualize the problem from my 2010 wordle. 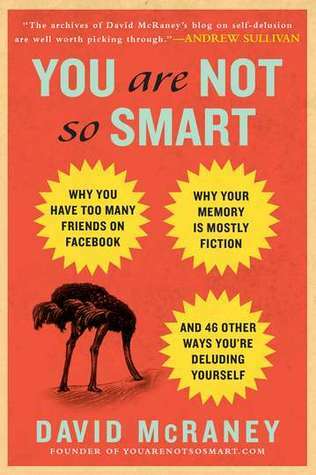 In a book I'm currently reading, You're not so smart, had an interesting article about fooling yourself. People tend to put too much pressure on their future me. So the idea is, that people trust, that I'm going to do this and that in a week, but today I'll let myself go. This is a reason many diets fail and deadlines are not kept. Truth is, future you is not any better that you are today. I really loved the idea. I've noticed this same with me many times before. Best self control happens right now, not tomorrow or in a week. If you decide to do something tomorrow instead of today, you tomorrow might do the exact same thing. If you buy 3 chocolate bars from the store in a price of 2 and decide to eat those later, there's a big change that your future you will actually eat those earlier than you were planning. You should not think your future you as good person who will be better than you are today. You should even think your future you as an different person, whom you can control. You should trick your future you always if you can. Sign yourself to a sports event today, if you want to make sure your future you keeps your promises on sports. Start your assignment task today, if it needs to happen in a week. Don't trust your future you. Your future you is excellent on making excuses on not doing something or allowing something for themselves just this once. If you don't want to use more than 100 euros for shopping clothes this evening, don't give your future you more than 100 euros to go. Your future definitely can make good excuses why just this once you need to use 170 euros instead of only 100 euros. The best way to control your future you is to make the decisions ready for you. When you really start to think about this, you find it true. You can't trust your future you. You need to take control today, not leave it to your future you. Presentation Zen by Garr Reynolds was a book I was expecting to read for a long time. I've heard so much positive about it and I knew it to be visual and enjoyable. It turned out to be everything and bit more I expected. 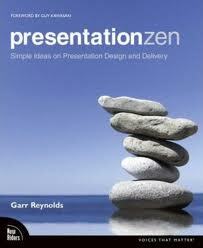 Presentation Zen is mainly about presentations done with Power Point or some other similar tool. Luckily, it's not only about those, that would be bit boring. It actually shares so much wisdom on the area of presentation and design, that everyone should read it. It tells also some basics about Zen and Japanese culture, what makes the book even more special. Overall it's enjoyable to read with lot's of good visual pages and examples. It really walks the talk with well designed pages to prove the meaning of a good design. Of course form of a book doesn't give full right to all presentations, due the lack of presenter being there, but it's as perfect as a book can be in this subject. It's not only telling about writers thoughts on the area, but interestingly connects idea from many other brilliant thinkers. I often don't like guide books. I don't believe in instructions that say that you should do this and that to succeed. I think that most of the cases, how you should do something is related to the moment. One size just don't fit all. Even though this book emphasizes the usage of pictures quite much and instructs to cut down the words in slides, overall it doesn't give that strict instruction to make better presentations. 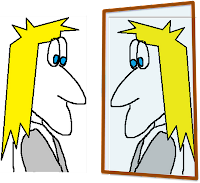 It gives guidelines which can be used for creating suitable presentations for unique moments. That's the way I like it. As you might guess already, I definitely recommend this book.. It's easy to read, fast and enjoyable. And best of all, it's full of good insights how to be a better presenter and better in communication overall. To be honest, I don't know to whom, I wouldn't recommend this book. It's a piece that everyone should read.